The Stanley Cup playoffs (French: Les séries éliminatoires de la Coupe Stanley) is an elimination tournament in the National Hockey League consisting of four rounds of best-of-seven series. Eight teams from each of the two conferences qualify for the playoffs based on regular season points totals. The final round is commonly known as the Stanley Cup Final, which sees the two conference champions play for the Stanley Cup. The NHL has always used a playoff tournament to determine its champion. Its playoff system has changed over the years, from the league's inception in 1917 when ownership of the Stanley Cup was shared between different leagues, to when the NHL took over the Cup in 1926, to the current setup today. The Stanley Cup playoffs consists of four rounds of best-of-seven series. Each series is played in a 2–2–1–1–1 format, meaning the team with home-ice advantage hosts games one, two, five, and seven, while their opponent hosts games three, four, and six. Games five, six, and seven are only played if needed. Eight teams in each conference qualify for the playoffs. In the playoff series format instituted in 2014, the first, second, and third place team in each of the four divisions qualify for the playoffs automatically. Two additional teams from each conference, regardless of divisional alignment, also qualify for the playoffs by having the highest point totals out of the remaining teams in the conference. These teams are referred to as the Wild Cards. Since there is no attention paid to divisional alignment with the wild cards, it is possible for one division in each conference to have five teams in the postseason while the other has just three. In the First Round, the teams are split into two separate brackets by division. Each bracket consists of the top three divisional qualifiers and one of the wild cards. The lower seeded wild card plays against the division winner with the best record while the other wild card plays against the other division winner, and both wild cards are de facto #4 seeds. The other two series match the second and third place teams from the divisions. The winners of both First Round series advance to the Second Round. The reseeding in the previous format, which ensured the top seed would play the lowest remaining seed, was discarded. The winners of these series advance to the Conference Finals and the two Conference Final winners move on to the Stanley Cup Finals. In the first two rounds, the higher-seeded team has home-ice advantage (regardless of point record). Thereafter, it goes to the team with the better regular season record (regardless of seeding); in the case of a tie, the league's standard tie breaking procedure is applied. The team with home-ice advantage hosts games one, two, five, and seven, while the opponent hosts games three, four, and six (games five through seven are played if necessary). The greater number of games won. Since the 2010–11 NHL season, shootout wins are excluded from the tie-breaking procedure, and is reflected by the ROW statistic (regulation/overtime wins). If two clubs are tied, and have not played an equal number of home games against each other, the points earned and available in the first game played in the city of the club that had the greater number of home games in games between the two are not included. If more than two clubs are tied, the higher percentage of available points earned in games among those clubs, and not including any "odd" games, are used to determine the standing. The "odd" games are identical to those mentioned in the previous paragraph, that is, the first game in the city of the club that has had more home games in games between each club in the tie. Note that, because of this procedure, if two teams in the multi team tie (also applicable in a two team tie) have only played once against each other, the points earned in that game are not included. The greater differential between goals for and goals against during the entire regular season. If two clubs are still tied on non-shootout wins, points earned between the tied clubs and regular season goal differential, a one-game playoff is played under Stanley Cup playoff rules. Unlike the regular season where a contest could eventually be decided in a shootout, overtime in the playoffs is played in multiple sudden-death, 20-minute five-on-five periods until one team scores. Although a playoff game could theoretically last indefinitely, only two contests have reached six overtime periods, and both of those did not go beyond six. During playoff overtime periods, the only break is to clean the loose ice at the first stoppage after the period is halfway finished. The National Hockey League has always used a playoff tournament to determine its champion, generally opening up its playoff games to a much larger number of teams, including those with a losing regular season record in some years (the most recent being the seventh and eighth seeded San Jose Sharks and Edmonton Oilers, respectively, in 1999). From the NHL's inception until 1920, both NHL and Pacific Coast Hockey Association teams were eligible for the Stanley Cup. The NHL's regular season was divided into two halves, with the top team from each half moving on to the league finals, which was a two-game total goals series in 1918 and a best-of-seven series in 1919. In 1920, the Ottawa Senators were automatically declared the league champion when the team had won both halves of the regular season. 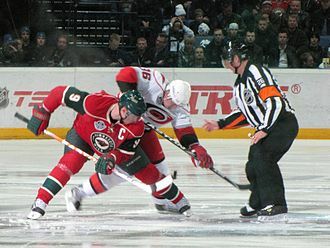 The two halves format was abandoned the next year, and the top two teams faced off for the NHL championship in a two-game total goals series. At the time, the NHL champion would later face the winners of the PCHA and, from 1921, the Western Canada Hockey League in further rounds in order to determine the Stanley Cup champion. During this time, as the rules of the NHL and those of the western leagues differ (the main difference being that NHL rules allowed five skaters while the western leagues allowed six), the rules for each game in the Stanley Cup Finals alternated between those of the NHL and the western leagues. Before the WCHL competed for the Stanley Cup, the Cup championship series a best-of-five series. 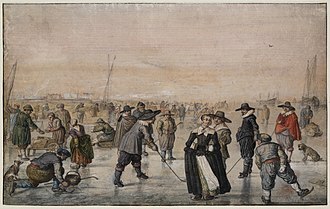 Following the involvement of the WCHL, one league champion was given a bye straight to the finals (a best-of-three affair starting in 1922), while the other two competed in a best-of-three semifinal. 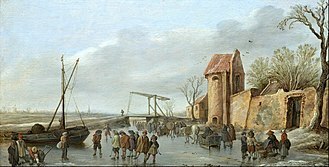 As travel expenses were high during these times, it was often the case that the NHL champions were sent west to compete. In a dispute between the leagues in 1923 about whether to send one or both western league champions east, the winner of the PCHA/WCHL series would proceed to the Stanley Cup Finals, while the loser of the series would face the NHL champion, both series being best-of-three. In 1924 the NHL playoffs expanded from two to three teams (with the top team getting a bye to the two-game total goal NHL finals), but because the first-place Hamilton Tigers refused to play under this format, the second and third place teams played for the NHL championship in a two-game total goals affair. The Stanley Cup Finals returned to a best-of-five format the same year. With the merger of the PCHA and WCHL in 1925 and the merged league's collapse in 1926, the NHL took de facto control of the Stanley Cup. While the Cup would not be formally deeded to the league until 1947, from 1926 onward the NHL playoffs and the Stanley Cup playoffs are considered synonymous. The NHL was subsequently divided into the Canadian and American divisions for the 1927–28 season. For 1927, six teams qualified for the playoffs, three from each division, with the division semifinals and finals being a two-game total goals affair, and the Stanley Cup Finals becoming a best-of-five series. In 1928, the playoff format was changed so that the two teams with identical division ranking would face each other (i.e. the division winners played each other, the second place teams play each other, and likewise for the third place teams). The first place series was a best-of-five affair, with the winner proceeding to the best-of-three Stanley Cup Finals, while the others were a two-game total goals series. The winner of the second and third place series played each other in a best-of-three series, with the winner earning the other berth to the Stanley Cup Finals. This format had a slight modification the following year, where the semifinal series became a two-game total goals affair and the Stanley Cup Finals became a best-of-five series. The two-game total goals format was abolished in 1937, with those series being changed to best-of-three affairs. The 1930s saw the reduction of teams from ten to seven, and with it an end to the Canadian and American divisions. The Stanley Cup playoffs saw the first- and second-place teams play against each other in a best-of-seven series for one berth in the Stanley Cup Finals, while the third- to sixth-place teams battled in a series of best-of-three matches for the other berth (with the third-place team taking on the fourth-place team, and the fifth-place team against the sixth-place team). In 1939, the Stanley Cup Finals became a best-of-seven series, the format still used today. The 1942–43 season saw the removal of the New York Americans, leaving six remaining teams (now known as the "Original Six"). From 1943 to 1967, all playoff match ups were best-of-seven affairs. The first and third-place teams played in one semifinal, while the second and fourth-place teams played in the other semifinal, with the semifinal winners advancing to the Stanley Cup Finals. During this time, Detroit Red Wings fans often threw an octopus onto the ice as a good luck charm, as eight wins were required to win the Stanley Cup. The 1967 expansion saw the number of teams double from six to 12 in the 1967–68 season, and with it the creation of the Western and Eastern divisions. The playoff format remained largely the same, with all series remaining best-of-seven, and the division champions battling for the Stanley Cup. The 1970–71 season, because of fan demand, brought forth the first inter-conference playoff match up outside of the Stanley Cup Finals since the pre-war expansion, which had the winner of the second-place versus fourth-place match up in one conference take on the winner of the first- versus third-place match up in the other conference for a berth in the Stanley Cup Finals. The following year had one minor change to its playoff format: a stronger team would face a weaker opponent. Thus, instead of a first-place versus third-place and a second versus fourth-place match up in the first round, the first round had the first-place versus the fourth and the second versus the third-place. This practice of having stronger teams facing weaker opposition has continued to the present day. The 1974–75 season saw another change to the playoff system to accommodate a league that had expanded to 18 teams in two conferences and four divisions. Under this system, 12 teams qualified for the playoffs. The top team from each division would earn a bye to the quarterfinal, while the second- and third-place teams from each division started their playoff run from a best-of-three preliminary round. In each round of the playoffs, the teams remaining were seeded regardless of divisional or conference alignment, with the preliminary-round series being a best-of-three affair while the remainder of the series remained best-of-seven. The 1977–78 season had one minor change in its playoff format: although the second-place finishers from each division would qualify for the preliminary round, the four playoff spots reserved for the third-place teams were replaced by four wild-card spots—spots for the four teams with the highest regular-season point total that did not finish first or second in their divisions. With the absorption of four teams from the World Hockey Association in the 1979–1980 season, a new playoff system was introduced where 16 of the league's 21 teams would qualify for postseason play. The four division winners would qualify for the playoffs while twelve wildcard positions rounded out the sixteen teams. At the beginning of each round the teams were seeded based on their regular season point totals, with the preliminary round being a best-of-five series while all other playoff series were best-of-seven. The 1981–1982 season brought forth the return of divisional match ups, with the top four teams from each division qualifying for the playoffs. Division champions would be determined, followed by the conference champions, who would meet in the Stanley Cup Finals. 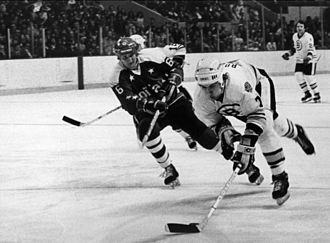 The division semifinals was a best-of-five affair until the 1986–87 season, when it became a best-of-seven series, while all other series remained best-of seven. For the 1993–94 season, the league revamped its playoff structure to become conference-based rather than division-based. Eight teams in each conference qualified for the playoffs. The division first-place teams were seeded first (the team with the best record in the conference) and second in the conference playoffs and received home ice advantage for the first two rounds. The next six best teams in each conference also qualified and were seeded third through eighth. All teams played in the first round: first-place versus eighth, second versus seventh, third versus sixth and fourth versus fifth. All series were best-of-seven, but the arrangement of home games was changed for Central and Pacific division teams. Instead of the normal 2–2–1–1–1 rotation, a series involving teams from both divisions was 2–3–2, with the higher seeded team having the option of starting play at home or on the road (ALL teams with home-ice advantage chose to play the default 2-2-1-1-1 format, from 1995-1998). After each round, surviving teams were reseeded to play a conference semi-final, then a conference final. The conference winners then played each other in the Stanley Cup Finals. Home ice advantage was determined by higher seed in the first three rounds and by regular-season points of the two teams in the Stanley Cup Finals. In 1998–99, the league was re-organized into two conferences of three divisions apiece, resulting in the playoff format used through 2013. The qualifiers remained sixteen, but the seeding changed. The three first-place teams in each division qualified and were seeded first through third for the playoffs. Of the other teams in each conference, the top five finishers qualified for the fourth through eighth seedings. All teams played in the first round: first-place versus eighth, second versus seventh, third versus sixth and fourth versus fifth, by those criteria. After each round, surviving teams were reseeded to play a conference semi-final, then a conference final. Like the 1994–1998 system, the conference winners then played each other in the Stanley Cup Finals, and home ice advantage was determined by higher seed in the first three rounds and by regular-season points of the two teams in the Stanley Cup Finals. The NHL realigned into a four-division, two-conference system for the 2013–14 season. Under the new postseason system, the top three teams in each division make the playoffs, with two wild-cards in each conference (for a total of eight playoff teams from each conference). The format is division-based, similar to the 1981–82 system. In the First Round, the top-ranked team in the conference plays against the lowest-ranked wild-card, while the other division winner plays against the higher ranked wild-card. The second and third place teams in each division then play each other. The first round winners then meet in the Second Round. The third round will still consist of the Western Conference and Eastern Conference Finals, with those conference winners advancing to the Stanley Cup Finals. Compared to other major professional sports leagues, playoff upsets are relatively common in the NHL. According to NHL broadcaster Darren Eliot, this is because the style of competition in the playoffs is different from the regular season: instead of playing different teams every night, the goal is to advance through four best-of-seven playoff series. The Presidents' Trophy winner may have to go through other playoff clubs who might have a hotter goaltender, a better defensive team, or other players that pose matchup problems. If the regular season champion's primary success was only outscoring others, they may be out of luck facing goaltenders that can shut them out. And although rare, another aspect is that the NHL leads the other leagues in game seven comebacks. Only four instances has an NHL team been able to come back from being down 0–3 to win a seven-game series: the 1942 Toronto Maple Leafs, the 1975 New York Islanders, the 2010 Philadelphia Flyers, and the 2014 Los Angeles Kings. There has been only one such "reverse sweep" comeback in the MLB postseason (the 2004 Boston Red Sox) and none in the NBA playoffs. It is the reality of the sport. If your particular strength happens to be that you're really good offensively, and you come up against a hot goaltender and a team that is stout defensively, it might not matter that you were good on a nightly basis scoring goals. And that one particular opponent: you'll have to beat them four times. NHL broadcaster Darren Eliot explaining the lack of success of Presidents' Trophy winners winning the Stanley Cup. Despite having more American-based teams than Canadian-based ones throughout much of the NHL's existence (dating back to the Original Six era when it was two Canadian clubs to four American ones, and now 7 to 24 since 2017), there have been only two times in league history where none of the Canadian teams qualified for the postseason: 1970 and 2016. However, the 1993 Montreal Canadiens remain the last Canadian club to go all the way and win the Stanley Cup. The Stanley Cup playoffs MVP award, the Conn Smythe Trophy is based on the entire NHL postseason instead of just the championship game or series, unlike the playoff MVP awards presented in the other major professional sports leagues of the United States and Canada (the Super Bowl MVP, the NBA Finals MVP, and the World Series MVP), although in its history the trophy has never been given to someone that was not in the finals. Doug Gilmour and Peter Forsberg, in 1986 and 1999, respectively, are the only players who have topped the postseason in scoring without making it to the Finals. NHL players have often grown beards when their team is in the playoffs, where they do not shave until their team is eliminated or wins the Stanley Cup. The tradition was started in the 1980s by the New York Islanders, and is often mirrored by the fans, as well. At the conclusion of a playoff series, players and coaches line up and exchange handshakes with their counterparts on the opposing team, and this has been described by commentators as "one of the great traditions in sports". However, there have been rare occasions that individual players have refused to participate, such as Gerry Cheevers who left the ice without shaking hands with any of the Flyers in 1978, and Billy Smith who avoided handshakes as he was particularly passionate about losses. More recent examples of players refusing the handshake include the 1996 playoffs when several Detroit Red Wings players protested the dirty hit by the Colorado Avalanche's Claude Lemieux, and in the 2008 playoffs when Martin Brodeur refused to shake Sean Avery's hand after Avery screened him in an earlier game. 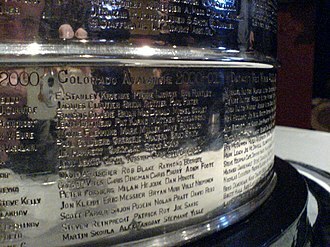 It is common among players to never touch or hoist the Prince of Wales Trophy (Eastern Conference champion) or Clarence S. Campbell Bowl (Western Conference champion) after they have won the conference finals; the players feel that the Stanley Cup is the true championship trophy and thus it should be the only trophy that they should be hoisting. There have been six recent exceptions to this – Scott Stevens of the Devils in 2000 and 2003; Sidney Crosby of the Penguins in 2009, 2016, and 2017; and Alexander Ovechkin of the Capitals in 2018. In five of these occurrences, their teams went on to win the Stanley Cup. In recent years, the captain of the winning team poses (usually looking solemn) with the conference trophy, and sometimes, the entire team poses as well. There are many traditions and anecdotes associated with the championship trophy, the Stanley Cup. Because the Ice Hockey World Championships are held in the same time period as the Stanley Cup playoffs, the only NHL players who can participate in the former are those on NHL teams that have been eliminated from Stanley Cup contention. This policy has been in place since a 1977 agreement between the NHL and the International Ice Hockey Federation, which allowed Team Canada to field a team in the World Championships after an-eight year absence. ^ Includes postseason appearances in the National Hockey Association prior to the formation of the NHL in 1917. The NHA, the predecessor league of the NHL, also competed for the Stanley Cup. ^ Includes appearances for Minnesota North Stars (1967–68 through to 1992–93). ^ Includes appearances for Atlanta Flames (1972–73 through to 1979–80). ^ a b c d Does not include appearances in the World Hockey Association/Avco Trophy playoffs. Per the conditions of the NHL–WHA merger, the NHL does not officially recognize the WHA history, playoffs and records. Furthermore, during its existence, no WHA champion competed for the Stanley Cup. ^ Includes appearances for Quebec Nordiques (1979–80 through to 1994–95). ^ Includes appearances for Colorado Rockies (1976–77 through to 1981–82). ^ Includes appearances for the original Winnipeg Jets (1979–80 through to 1995–96). ^ The modern Ottawa Senators (1992–present) are the namesake of the original Senators (1883–1934). The NHL officially treats them as two separate franchises. ^ Includes appearances for Hartford Whalers (1979–80 through to 1996–97). ^ Includes appearances for Atlanta Thrashers (1999–2000 through to 2010–11). Prior to 1927 the NHL playoff champion did not receive the Stanley Cup. In most years the winning team was awarded the O'Brien Trophy but from 1915 through 1926 the NHA/NHL champion would play the PCHA/WHL champion for the Stanley Cup. The results outlined here are only those between NHL teams and do not include any Stanley Cup Finals series before 1927. For the first four years the NHL playoffs entailed the best team from the first half of the season playing a two games against the best team from the second half. The winner was the team that scored the most combined goals. There were no NHL playoffs in 1920 because Ottawa had the best record in both halves and was declared the NHL champion. Starting in 1921 the NHL scrapped the half-season scheme and had the teams with the top two records play for the league title. In 1926 the league introduced a two-game semifinal series for the second- and third-best teams to play for entry into the final against the regular season champion. The following year, with 10 teams in the league, the NHL expanded the playoffs to include six teams. The winners of the Canadian and American divisions would earn byes into the semifinal round while the remaining four would start in the quarterfinals. ^ a b The Toronto team began as the 'Arena Athletic Club' before settling on Arenas then changed their name to the St. Patricks and eventually became the Toronto Maple Leafs. ^ a b The Quebec Athletic Club moved to Hamilton after one season in the NHL. ^ After the NHL dropped Hamilton as a franchise the expansion New York Americans signed all of Hamilton's players but the two teams are considered distinct. The playoff format was altered slightly in 1929, having the two division winners play one another in the semifinal rather than the winners of the quarterfinal round. Because the NHL took charge of the NHL finals became a best-of series as the Stanley cup championship had been since 1914. A year later the Semifinal round became a best-of series with the division winners playing a five game set and the quarterfinal winners facing off in a best-of-three meeting. In 1931 the meeting between quarterfinal winners reverted to a two-game total-goal series and didn't change back for five years. The next year all series became best-of's and two years after, in 1939, the league ended the divisional format when the Montreal Maroons suspended operations, leaving the league with only 7 teams. Instead, the top two finishers played one another in a best-of-seven semifinal round while the other four playoff teams played best-of-three series to decide the second finalist. The same year the Stanley Cup finals shifted to a best-of-seven series where it has remained ever since (as of 2018). With only six teams in the league the quarterfinal round was ended and the top four finishers made the playoffs. All playoff series became best-of-sevens with the #1 and #3 teams playing in one semifinal while the #2 and #4 seeds met in the other. This arrangement remained unchanged the entire 25-year duration of the 'Original Six' era. When the league doubled its size in 1967 they also doubled the number of playoff teams, reintroducing the quarterfinals but keeping the 1-vs-3 style that existed for the previous quarter-century and keeping all series as best-of-sevens. In 1971 the league altered the semifinals to pit east teams against west teams and followed that by rearranging the first round to have the top seeds play the bottom seeds in intra-conference series. Once they league's size swelled to 18 teams an additional four teams received bids into the postseason. Starting in 1975 the division winners received byes into the second round while the remaining eight teams started in a best-of-three preliminary round with the top seed facing the lowest seed. After the opening round all teams were reseeded for the quarterfinals and semifinals regardless of their division or conference. When the WHA folded in 1979 four teams were absorbed into the NHL. With 21 teams the NHL expanded the playoffs once more to include 16 with all teams starting in the preliminary round which was increased to a best-of-five series. Teams were seeded regardless of their conference or division 1 through 16 and reseeded after the first two rounds. Starting in 1982 the NHL split the playoffs into eastern- and western-conference with each conference providing 8 teams where it has remained since (as of 2018). Furthermore the NHL had the first two round being played within each division, granting the four regions one entry each into the conference finals. The divisional semifinals were expanded to seven-game-series in 1987. The NHL added nine franchises from 1991 to 2000 while an additional four moving to new cities (three of those teams were WHA alumni) Despite the increase in league size the NHL playoffs remained static at 16 teams. The league did, however, change the format by dropping the divisional rounds in 1994 with the division winners receiving the top two seeds and the rest being sorted according to their records. After the NHL lockout in 2004-05 that saw the cancellation of the first Stanley Cup final in 86 years The league went through another stable period where no new franchises were added. The playoffs as well were mostly consistent throughout the period. Only one change occurred; beginning with the 2014 playoffs the league returned to 4 divisions with the top three teams in each division making the playoffs and the two teams in each conference with the best record receiving 'wild card' spots. The better wild card team would play the lesser division champion for each conference and vice versa. The NHL added Vegas as the first expansion team in 17 years for the 2017–18 season. Though no adjustment occurred as far as the playoffs were concerned, the league has also a 32nd team in Seattle for the 2021–22 season. ^ a b c "Stanley Cup Playoffs format, qualification system". NHL.com. March 24, 2014. Retrieved April 1, 2014. ^ "Stanley Cup Playoffs format, qualification system". NHL.com. April 6, 2018. Retrieved April 7, 2018. ^ "Stanley Cup Playoff Formats: 1917 to date". NHL.com. Retrieved June 25, 2013. ^ a b c d e f g h i McCarthy, Dave (2008). The National Hockey League Official Guide & Record Book (2009 ed.). Dan Diamond Associates. p. 249. ISBN 978-1-894801-14-0. ^ Klein, Jeff Z.; Hackel, Stu (April 12, 2009). "First-Round Upsets Common in N.H.L". The New York Times. ^ a b c Darren Eliot (April 7, 2010). Inside Report: Presidents' Trophy to curse Caps?. SI.com. Retrieved March 30, 2011. ^ Stubbs, Dave (March 31, 2016). "Woe Canada. No playoffs this year north of border". NHL.com. NHL Enterprises, L.P. Retrieved March 31, 2016. ^ Barbara Sullivan (April 28, 2007). "One team, one goal, no razors". The Buffalo News. Archived from the original on January 18, 2013. Retrieved May 4, 2007. ^ Analyst (May 18, 2009). "NHL Playoff Traditions: Why the NHL Is the Most Celebrated League". Bleacher Report. Retrieved March 17, 2014. ^ a b Stephenson, Colin (March 30, 2009). "Sean Avery gets best of New Jersey Devils in New York Rangers' 3-0 victory". The Star-Ledger. Retrieved May 7, 2015. ^ "Yes, it's tradition, but players should have a choice - NHL - ESPN". Sports.espn.go.com. April 26, 2007. Retrieved March 17, 2014. ^ Duplacey, James (1998). Total Hockey: The official encyclopedia of the National Hockey League. Total Sports. p. 506. ISBN 0-8362-7114-9. ^ "Stanley Cup Record Book". NHL Official Guide & Record Book 2015. Triumph Books. October 2014. p. 244. ISBN 978-1629370118. ^ "All-Time NHL Results". NHL.com. Retrieved 2018-05-10. 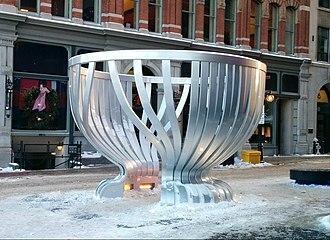 ^ "The Stanley Cup". HHOF.com. Retrieved 2018-05-10. ^ Coleman 1966, p. 487. The New York Americans, colloquially known as the Amerks, were a professional ice hockey team based in New York City, New York from 1925 to 1942. They were the expansion team in the history of the National Hockey League. The team never won the Stanley Cup, but reached the semifinals twice. While it was the first team in New York City, it was eclipsed by the second, the New York Rangers, the team operated as the Brooklyn Americans during the 1941–42 season before suspending operations in 1942 due to the World War II and long-standing financial difficulties. 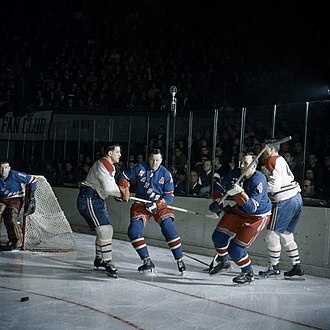 The demise of the club marked the beginning of the NHLs Original Six era from 1942 to 1967, the teams overall regular season record was 255–402–127. In 1923, Thomas Duggan received options on three NHL franchises for the United States, after selling one to Boston grocery magnate Charles Adams, which became the Boston Bruins in 1924, Duggan arranged with Tex Rickard to have a team in Madison Square Garden. Rickard agreed, but play was delayed until the new Garden was built in 1925, in April of that year and Bill Dwyer, New York Citys most-celebrated prohibition bootlegger, were awarded the franchise for New York. Somewhat fortuitously given the shortage of players, the Hamilton Tigers, the suspensions were quietly lifted in the off-season. Soon afterward, Dwyer duly bought the rights to the Tiger players for $75,000. He gave the players healthy raises—in some cases. Just before the season, Dwyer announced his team would be named the New York Americans and their original jerseys were covered with stars and stripes, patterned after the American flag. Although he acquired the Tigers players, Dwyer did not acquire the franchise, as a result, the NHL does not consider the Americans to be a continuation of the Tigers—or for that matter, of the Tigers predecessors, the Quebec Bulldogs. The Americans entered the league in the 1925–26 season along with the Pittsburgh Pirates, the Americans and Pirates became the second and third American-based teams in the NHL, following Adams Boston Bruins, who began play the previous season. Success did not come easily for the Americans, even though their roster was substantively the same that finished first the previous year, in the Americans first season they finished fifth overall with a record of 12–22–4. Sean Christopher Avery is a Canadian former professional ice hockey player. He is known for his interests, having worked in fashion, most notably as an intern at Vogue magazine, as a model. He finished his 12-year career with a total of 90 goals,247 points and 1,533 penalty minutes in 580 games, after retiring in 2012, Avery began working at Lipman, an advertising and creative agency in New York City. He was promoted to senior staffer, but the firm closed without notice in September 2013, reportedly due to problems, filing for bankruptcy. Avery was born in North York, the son of Al and Marlene Avery and he grew up in Pickering, where he attended Dunbarton High School. He has a brother named Scott. Prior to joining the NHL, Avery played for the Owen Sound Platers, Avery was signed by the Detroit Red Wings as a free agent in 1999. He played one season in the OHL before turning professional in 2000 with the Cincinnati Mighty Ducks of the American Hockey League. 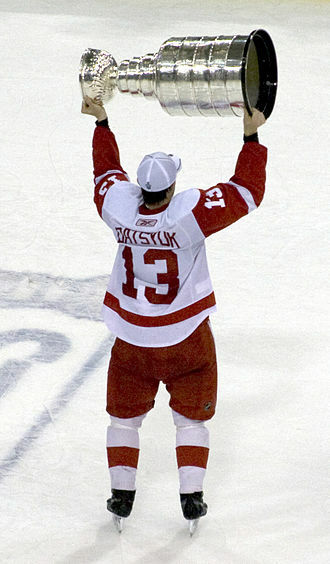 He broke into the NHL in the 2001–02 season, playing 36 games with the Red Wings and 36 in the minors. The Red Wings went on to win the Stanley Cup that season, midway through the 2002–03 season, Avery was traded to the Los Angeles Kings. 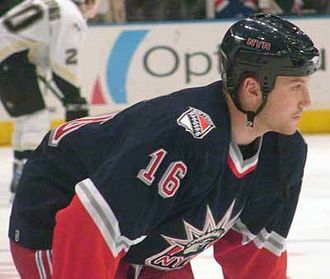 He finished the season with 15 points in 51 games, in 2003–04, Avery played 76 games for the Kings, scoring 9 goals to go along with 19 assists. He led the NHL in penalty minutes with 261, during the 2004–05 NHL lockout, Avery briefly played in the Finnish Elite League with the Lahti Pelicans, and in the United Hockey League for the Motor City Mechanics. Avery led the league in penalty minutes for the consecutive season in 2005-06. With three games remaining, the Kings unofficially suspended Avery for the remainder of the season after he refused to do a drill in practice, the team re-signed him to a one-year deal. During his time with the Kings, Avery has been said to have mocked Dustin Brown about his lisp, former L. A King Ian Laperriere said it was bullying, like you might see in high school. But according to players and coaches, Browns lisp was not Averys target, Browns girlfriend, now wife. He was inducted into the Hockey Hall of Fame in 1985. Cheevers professional hockey career began in 1956 at the age of 16 when he played for the St. Michaels Majors of the Ontario Hockey Association and he was owned by the Toronto Maple Leafs until the Boston Bruins drafted him in 1965. Cheevers still holds the American Hockey League single-season record for most victories by a goaltender, in 1965 he totaled 48 victories in leading the Rochester Americans to their first Calder Cup championship. He spent six years in all in the minors until, by 1967 and he was a member of both the 1970 and 1972 Stanley Cup winning teams, gaining a reputation as a driven, money goaltender. In 1972, he went undefeated in 32 consecutive games, a NHL record that still stands, returning to the Bruins during the 1976 season after financial disputes with Cleveland management, Cheevers formed a goalie tandem with Gilles Gilbert. Cheevers retired at the end of the 1980 season and Gilbert were runners-up for the Vezina in the 1979-80 season, which was won by Don Edwards and Bob Sauvé. Cheevers had a career NHL goals against average of 2.89, recorded 230 NHL wins, played in 419 NHL games and he was second in the WHAs history in career GAA and shutouts, despite playing in only half the leagues seasons. Cheevers was not afraid to stray from the both to cut down the shooters angle and to act as a third defenseman. He was very aggressive with opposing players who strayed into or near the crease, many an opposing player who got too close to the goal crease got a quick smack from Cheevers goal stick. Not a stand-up goalie, Cheevers could often be found on his knees or even his side and he perfected this flopping style while playing for Rochester during the 1962–63 season. Americans coach Rudy Migay had Cheevers practice without his stick, thus requiring him to more on using his body. From that point on Cheevers became one of hockeys best goaltenders, Cheevers iconic stitch-pattern goaltender mask came after a puck hit him in the face during practice. Cheevers, never one to miss an opportunity to skip out of practice, Bruins coach Harry Sinden followed him to the dressing room, where he found Cheevers enjoying a beer and smoking a cigarette. NHL Network is an American sports-oriented cable and satellite television network that is owned as a joint venture between the National Hockey League and NBCUniversal. The channels headquarters and studios are located in the Secaucus, New Jersey facilities utilized by MLB Network. S, primarily carries broadcasts from Canadian national rightsholders, while the Canadian feed primarily carried games from U. S. broadcasters. The league hired Ascent Media to manage and distribute the channel, through its publicly traded subsidiary, Ascent Media Network Services. In August 2015, it was announced that the NHL had reached a deal with Major League Baseball Advanced Media to take over the management of the NHLs digital properties. Operations and production of NHL Networks programming was shifted from Toronto to the Secaucus, for much of the 2015-16 season, NHL Network studio programming originated from re-themed versions of MLB Networks existing sets. In April 2016, coinciding with the start of the playoffs, owners of the leagues current cable partner NBCSN, is the largest cable television provider in the United States. The company was obligated to carry NHL Network on its systems by the summer of 2007 at the latest. DirecTV has aired NHL Network on channel 215 since October 31,2007, going forward, any provider that already carries NHL Center Ice was expected to begin carrying NHL Network on one of its programming tiers. Some providers offer NHL Networks high definition simulcast feed, which all live games in HD. NHL. com announced on January 12,2009 that AT&T U-verse would begin carrying the channel, the network began to be distributed in Taiwan in 2010 on satellite provider DishHD. On October 1,2011, AT&T U-verse dropped NHL Network due to a dispute over a planned increase in retransmission payments. 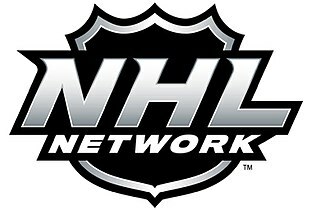 On November 18,2016, the NHL Network returned to AT&T U-verse following a five-year hiatus, National Hockey League – NHL Network broadcasts up to 80 regular season NHL games six days a week. Saturday games broadcast by the network are sourced by Canadian television network Rogers Sportsnets Hockey Night in Canada telecasts, NCAA Hockey – The network holds broadcast rights to live NCAA college hockey games, which air Friday nights during the season. Sportsnet's NHL broadcasts originate from the Canadian Broadcasting Centre. Sportsnet Mobile Studio truck at the Rogers Hometown Hockey Tour in Regina, Saskatchewan. Don Cherry and Ron MacLean (pictured in 2002) are among the Hockey Night in Canada talent retained by Rogers. Nicklas Lidstrom of the Detroit Red Wings was part of the team's six Presidents' Trophy wins, two of them followed by Stanley Cups. Zdeno Chara played for the 2002–03 Ottawa Senators and the 2013–14 Boston Bruins. Mario Lemieux, two-time winner and the second player to win the award in consecutive years. Peter Forsberg with the Nashville Predators playing against the San Jose Sharks in 2007. Gilmour (while head coach of the Frontenacs) with sportswriter Djuradj Vujcic in Oshawa. NHL on NBC logo used from 2005 to 2011. 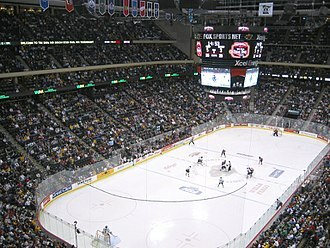 One of the games between the Ottawa Senators and the Colorado Avalanche at Ericsson Globe, Stockholm, Sweden. A bearded Darren McCarty hoisting the Stanley Cup in 2008.